Time is valuable. 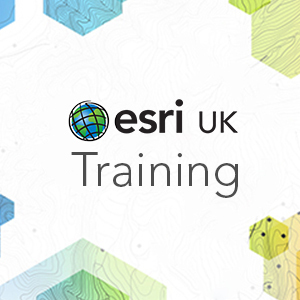 Learn how to create scripts that will streamline your GIS work. This course teaches how to access the Python environment in ArcGIS Pro, script common data management tasks, and automate geoprocessing workflows. You’ll learn techniques to share your scripts so they are easily accessible both inside and outside ArcGIS Pro. Investigate how ArcGIS Pro uses the conda Python package management system to manage all packages used by ArcGIS Pro. Work with the PyCharm developer environment to apply Python syntax rules and error-handling techniques to create robust scripts in ArcGIS Pro. Use lists and loops to repeat geoprocessing tasks within a script to create an efficient, repeatable analysis workflow. Learn how to perform both attribute and spatial selections and process the results. Use cursors to access geospatial data, edit attributes, and create and modify features. Create geometries to populate feature classes and use as geoprocessing tool inputs. Create custom script tools to share your Python scripts with other ArcGIS users. Completion of An Introduction to ArcGIS Pro for GIS Professionals or An Introduction to ArcGIS Pro for GIS Newcomers or equivalent working knowledge is required. Please note that the Python Scripting Language is not taught during this course but knowledge is required prior to attending. Python automation in your organisation: Benefits of Python automation, The Python script creation workflow, Ways to access Python in ArcGIS Pro, Determine a method for accessing Python, Using Conda to manage Python environments in ArcGIS Pro. Introducing ArcPy and performing geoprocessing: ArcPy essential vocabulary, Introducing ArcPy, Working with geoprocessing tools, Tool parameters as variables, ArcPy modules. Describe object properties in geoprocessing tools: Accessing properties with a Describe object, Describe syntax and usage, Generic Describe object properties, Describe object inheritance. Batch processing using lists: The ArcPy List functions, List function syntax, Batch geoprocessing using lists. Debugging scripts and handling runtime exceptions: Techniques for debugging scripts, Handling script exceptions, Working with exceptions, Getting geoprocessing messages, Using Exception as e, Using the arcpy.ExecuteError class, Tips and best practices. Working with cursors: Types of cursor, Using a Search Cursor, Working with an Update Cursor, Working with an Insert Cursor, Accessing Geometry object properties, Tips and best practice. Working with selections: Terms commonly used when working with selections, Selection tools in ArcGIS Pro, Tools that accept Feature Layers, Working with an in-memory selection, The Make Feature layer tool, The FieldInfo object, The AddFieldDelimeters function. Working with geometry objects: Key terms, Creating geometry objects, Creating point and point geometry objects, Creating polyline geometry objects, Creating Polygon geometry objects, The Geometry object, constructing a multipart geometry, Constructing multipart polygons, Creating and updating feature geometry, Geoprocessing with a geometry object. Sharing your scripts: Terms commonly used when sharing scripts, Advantages of attaching a script as a custom tool, creating and sharing a script, Making scripts dynamic, Adding a script to the toolbox, Running the script tool, Creating a geoprocessing package.